The times are a-changin, baby. 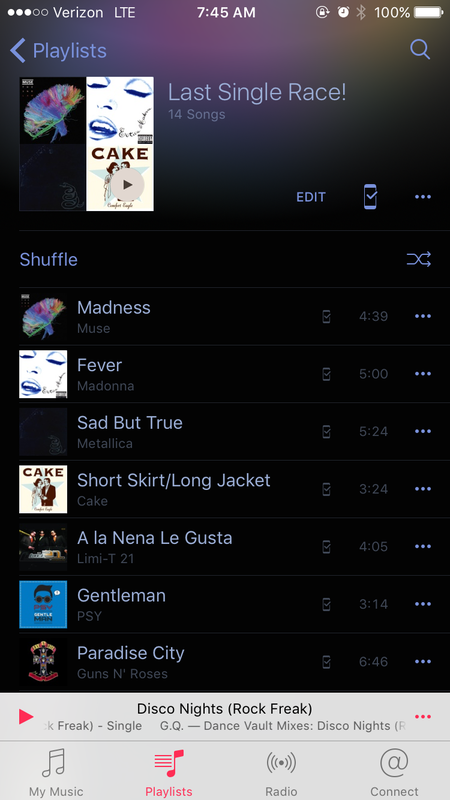 ‘Had to make a good playlist for what HAD to be a good race. It’s my last one as a single lady! Today’s goal: pace of 11:10. My last 10k several weeks prior had been 11:40, so 11:10 seemed to be a reasonable pace to chase. I set my watch to yell at me if I went faster than 10:55 and slower than 11:25. I kissed my fiancé goodbye (for the last time! tee hee) and found a place in the starting corral. After my obligatory tearing up at a start line, I turned on my music as I crossed the timing mat. The weather was cool – perfect for race day. My watched beeped at me. “10:50,” it read. Oh, self. Slow down. Don’t get caught up in the hype. But I just felt so good! “Ehhhhh. Let’s see how mile one goes!” Unwise, I know. But what’s the worse that could happen? It’s 6.2 miles. Mile one passed. I checked my heart rate. It wasn’t yelling at me. What the hell, let’s just keep going. I trailed this chick with red hair and we took turns passing each other. She became my buddy, unbeknownst to her. By the end of mile 5, my watch was yelling at me for my heart rate. “This is a race!” I said to my watch. I ignored it and pushed toward the finish line. By the time it came into view, I felt like my heart was going to bust out of my chest. Perfect. 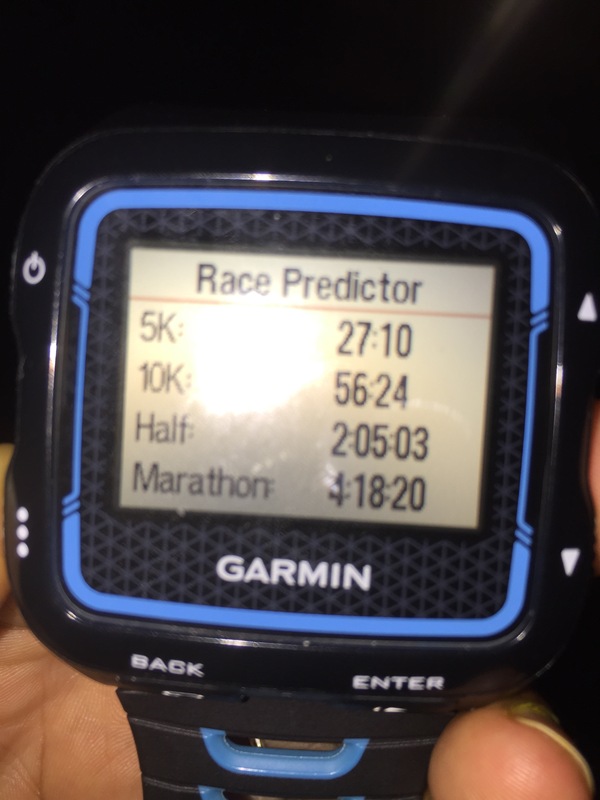 I wrote two days ago that I was feeling quite nervous about this race. My knee was hurting, though it usually doesn’t. I feared I wouldn’t be able to keep a steady pace. My jitters were evident to all as we (parents, Adonis, and Lil One) drove to the race site. 2 minutes after we left the house, Lil One realized she forgot her race bib so we had to go back, and it was the closest I’ve been thus far to saying a cross word to her. I was thankful that Mom thanked her for remembering when we weren’t far from the house because I was too caught up in my own emotions to respond properly. We made it in just enough time to park, walk, and find a place for Daddy to sit and cheer. This year was going to be very different than last – I was tapering for my half-ironman vs this being my longest race so far this year. I had committed to allowing myself to walk, as that is how I’ve been doing my long runs (with intervals), but I didn’t really want to. I set my watch to do 4/2 and the goal was to finish in 1:16 or less – 12 minute miles. I was prepared with my 76 minute long playlist. The horn sounded. As I crossed the timing mat, I started my watch and my music. “American Woman” was how I decided to start my race. Almost immediately, I felt the incomparable runner’s high that I crave, which, of course, concerned me. “Gah! How fast am I going? I don’t want to burn out before mile 1!” I checked my watch and it turned out my pace was a cool 11:30. Sweet. I smiled as we turned right and I started to make my way through the pack. I am not exactly sure why, but I love turning. I think it is because it is a very tangible reminder that the finish is that much closer. I started to think about what I was doing. Tee hee, know what I mean? Of course, as I was running I was thinking about what I was doing, in terms of monitoring my heart rate, pace, and breathing. Then I started to think about what I was doing. What an incredible blessing it is to be able to run. I felt very connected to the hundreds of strangers around me, striving for whatever was most important to them that day. I prayed for them. I prayed for my family as they ran. I felt a tap on my hand. Lil One and her handsome father had caught up to me. I grinned as we ran together for about a quarter mile. I must be honest – I would have been bitter if they had kept up for too long – I’ve been training and they have not, hah! I resisted the temptation to run faster. They slowed for a walk break, and I smiled again. Though my watch had been going off to remind me to walk, I chose not to. I felt surprisingly okay maintaining a 12 minute pace and decided to go with it. I only walked when I stopped for water. I noticed a woman beside me soon after mile 1 and it seemed we were going the same pace. I wondered if she would be my buddy. As I came to the second water stop, I was walking a bit when she said, “Let’s go! We’re running together!” Buddy = confirmed. We ran together without saying anything else, but I was thankful for her presence. I’d always heard of God sending people into our lives for reasons, seasons, and lifetimes, and I am now convinced sometimes He sends us people for an hour and change. I reflected upon my desire to progress. Running is a way for me to set goals and meet them and feel great. I thought it strange that I could be happy with setting a goal that was 10 minutes slower than I was able to do a year ago. I suppose that depending on where we are in our lives, success can take on different definitions. As tempting as it is to think of that as a copout, it really is not. I am very slowly coming to terms with the fact that life does not progress in a linear manner, as much as I would like it to do so. All this thinking got me to mile 5. It was here where my self-talk started to drift from holy to heathen. I’ve noticed the direct correlation between my HR being above 180 and my use of expletives. I knew I could not slow down if I wanted to meet my goal; plus, I had my Buddy! I lingered on the thought of my Aunt, who not only would be appalled by my language but who persevered until God finally called her to stop fighting against ovarian cancer. I had to keep going. We were on the last straightaway and could see the final turn toward the finish. Then these VOLUNTEERS (I am writing volunteers but I was definitely thinking less kind words at the time) tell us to run a bit past the last turn and make a circle around a cone before turning. That bloody .2, man. Thanks for bringing me that much closer to vomiting, USATF. I heard Adonis and Lil One cheering for me as Buddy and I crossed the finish line together. We exchanged a high five as Lil One ran to give me a hug and Mom took a picture. I really like this picture. It’s not particularly flattering. I think I look as exhausted as I felt. My fantastic stepdaughter-to-be was supporting me. It’s a picture of how human I am. I cannot be close to God unless I am dealing with my humanity – my brokenness as a runner, daughter, and future wife and mother. 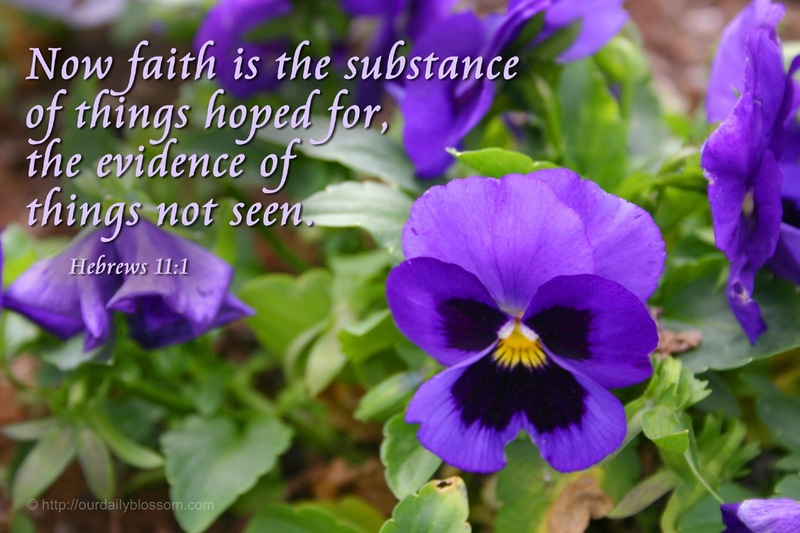 It is only in Him that I am strong and have the hope of being stronger. 1:13:36. Praise God. I would like to come back next year and do it in under an hour. Here’s to not busting my face or losing track of what is most important in the process. Apparently, my watch has a lot of faith in me. I have not achieved anything close to ANY of the above times. I’ve done a significant amount of running with the watch, so I’d say it knows me pretty well. Yet it says I am capable of so much more than I have done. What does this mean? Am I not working hard enough? If I were to get any of those times I would be beside myself with glee. I worry that after only 2.5 years of running that I have peaked, but Garmin seems to think otherwise – that I have a long way to go. Tomorrow, I have a 10k and I am NERVOUS. 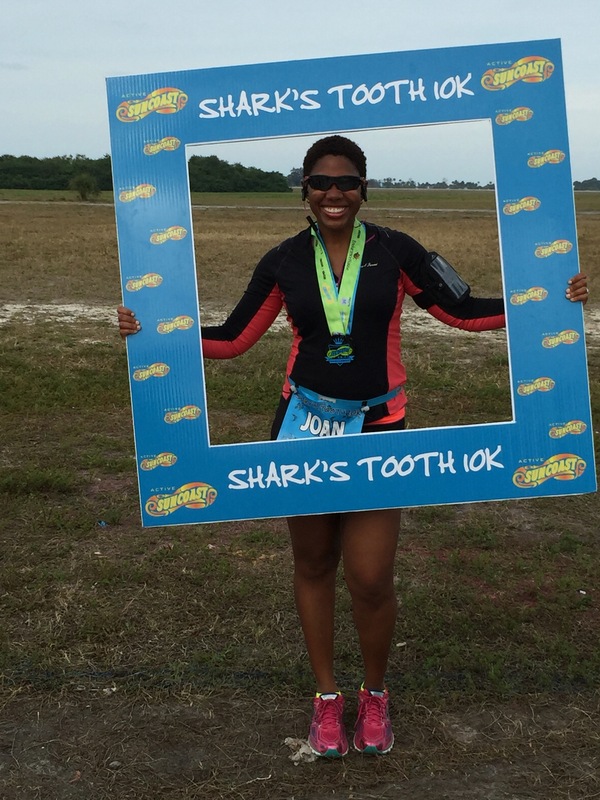 It is the longest race I have attempted in 2015. Since starting my HR training, I would be ecstatic to get 1:15 or less. Hah. 56:24. Why doesn’t Garmin tell me exactly what I need to do in order to achieve this? Moreover, why doesn’t it tell me when this could be possible? I love how God can even speak to me through my watch. I may never see any of those times, but I may see some even faster! I must be thankful for every day that I am able to run. Maybe strength and speed are like money – God blesses us with that which He knows we can handle. How will I be a good steward of the strength and speed I have? In 2010, ovarian cancer took my amazing Auntie Daph away from me. It was especially hard because she was loved by anyone who crossed her path. She treated her body well, was active, and lived her first 69 years with little to no sickness. Then this nastiness rolls up on her body like nobody’s business and in less than 2 years she went from vital and joyous to – well. Less vital, but still joyous. I told you – she was incredible. My Auntie was the embodiment of Proverbs 31. She’s left a huge hole in our family and we miss her every day. Cancer blows. 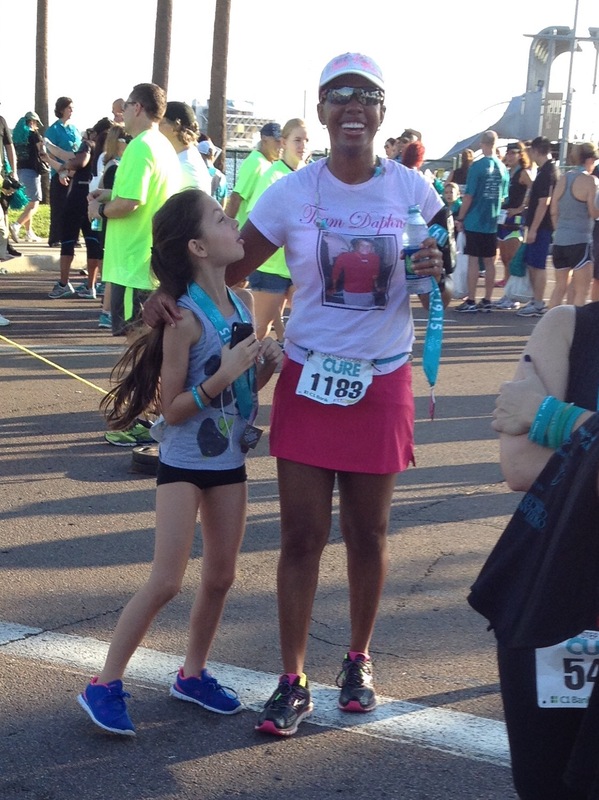 When I fell in love with running 18 months ago, one of the first things I did was to search for a race whose profits went to research for ovarian cancer. I was surprised to find that there is an annual race in St. Petersburg each September. I informed my mother (aunt’s baby sister), whose running addiction was also just beginning, and tried to gather several family members to run or walk, whichever they wanted. 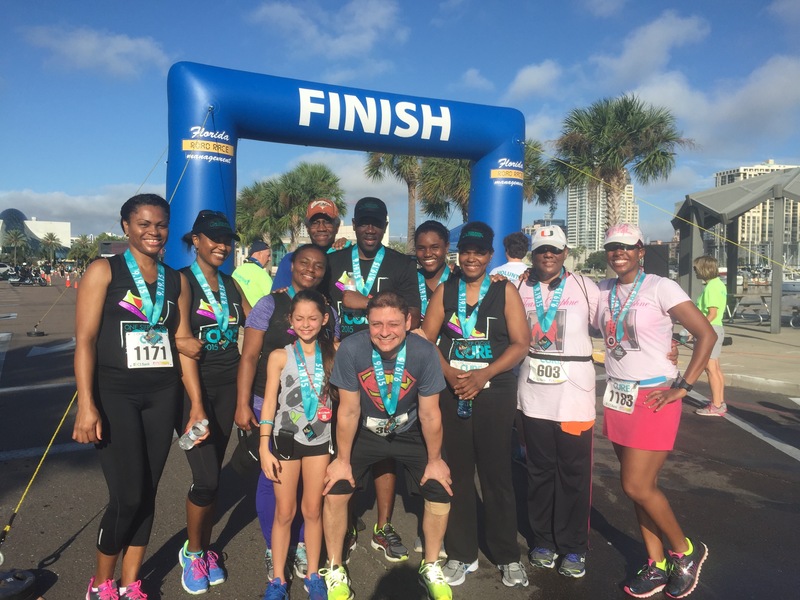 12 people registered to represent Team Daphne! I loved it because A) it brought my family together doing something healthy and B) I think she would have loved to do something like that herself. Fast forward to this year. Team Daphne was 16 strong! Last year, we walked most of the race. This year, because we love to grow and compete, we all went at different paces. They offered a 10k this year and because I hear Coachie in my ear wherever I go, I registered for that. While I love spending time with my family in this way, racing with them STRESSES. ME. OUT. Because I found the race and I am the “family runner,” I apparently have the responsibility of answering all questions and making sure everyone stays organized (read: arrives before the race starts and is actually behind the start line). Of course, we were running later than I wanted, but we actually made it on time this year! Progress! As I was getting ready, the strap to my Garmin decided to fall off. Fantastic. I love when I have to run and like, just listen to my body. I wasn’t expecting or trying to run a PR, but I wanted to feel like I was working without killing myself. I lined up with my family but went off by myself as the race began. The day was really beautiful. 🙂 Racing in St. Petersburg means a lot to me – from the Women’s Running 5k to St. Anthony’s Triathlon, I have already made a lot of precious memories here. I smiled as I passed sites I have seen many times. My body was feeling wonderful and I felt the runner’s high that has lately eluded me during my half-Ironman training. The sky was filled with gorgeous color. As I made my first turn-around, I saw some of my family and waved. We cheered each other as we passed. I saw a chick walking with 2 colorful parrots. I giggled. I love that I can find pleasure in races of high competitive intensity and races where people have parrots. 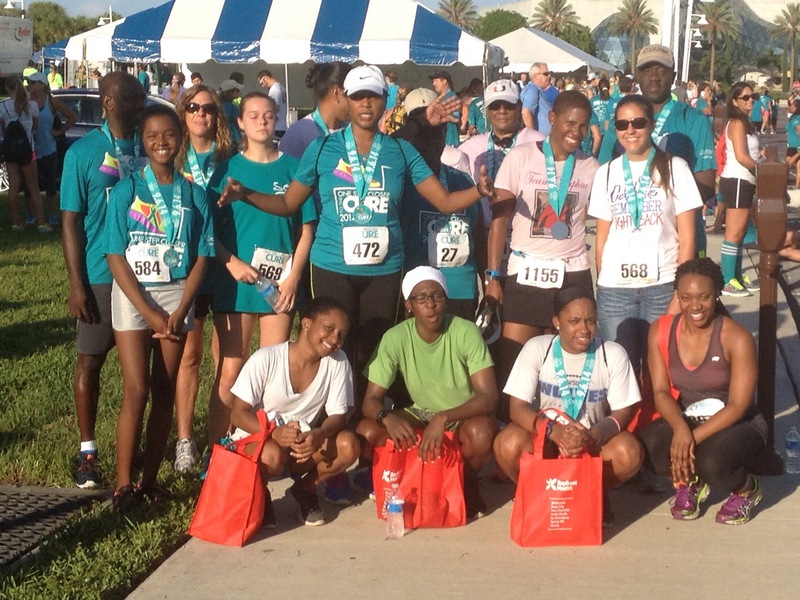 It was about celebrating good health and honoring those who have fought ovarian cancer and are currently fighting. Good vibes. Alas – I think God has this thing where regardless of the distance, I am reminded that I need Him no matter what. 60 mile ride? 6.2 mile run? No matter. “Hey Joan you’re gonna feel great for like 75% and then you will curse your existence and look to me! Don’t forget who allows you to do this!” Indeed, somewhere between mile 4 and 5, while I didn’t hate life, I thought, “Hmm. I’m still running. I’d rather not be.” Then I saw a lady walking who appeared to have one leg longer than the other. Immediately I pulled my brain together. I cheered her on and made my way to the finish, where my family was waiting for me. 1. The last time I ran a 10k without my Garmin was my first 10k in May of 2013. It reminded me of going out and having fun, tee hee. Oh, to be young again! 3. I am happy I was able to hold that pace fairly comfortably. It’s good to know that is a natural pace for me and I didn’t have to aim for it or struggle. Tee hee. My family says they are already ready for next year and are looking to PR for themselves! More running, walking, and good health for everyone! Who knows how long we have it? God is good.